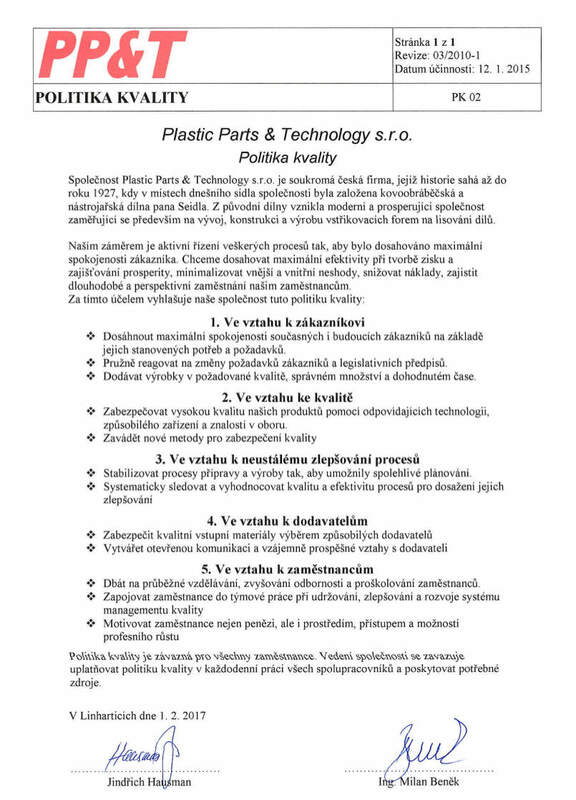 Business - Plastic Parts & Technology s.r.o. You can find our produtcs in automotive, medical and packaging industry. 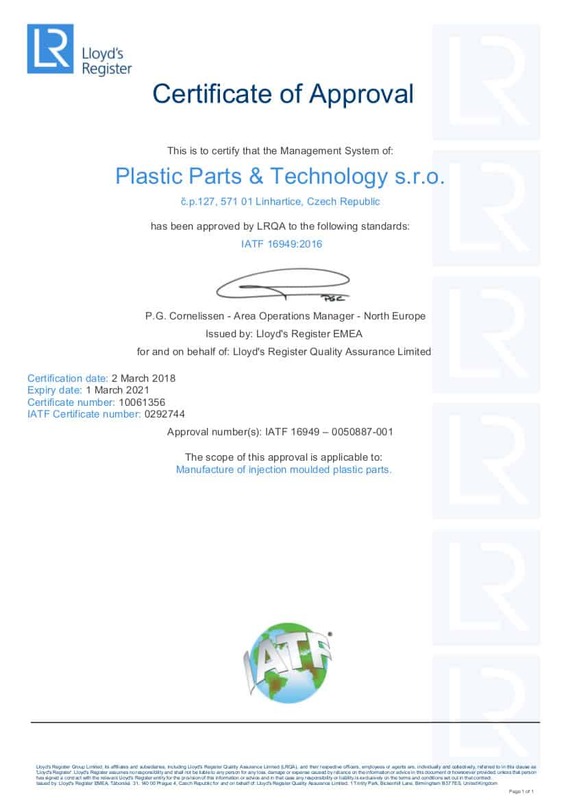 We offer our customers the entire process of part production – from support during the development of parts, to design, production and tuning of cutting-edge tools, to serial production of precision parts with thermoplastic injection moulding. 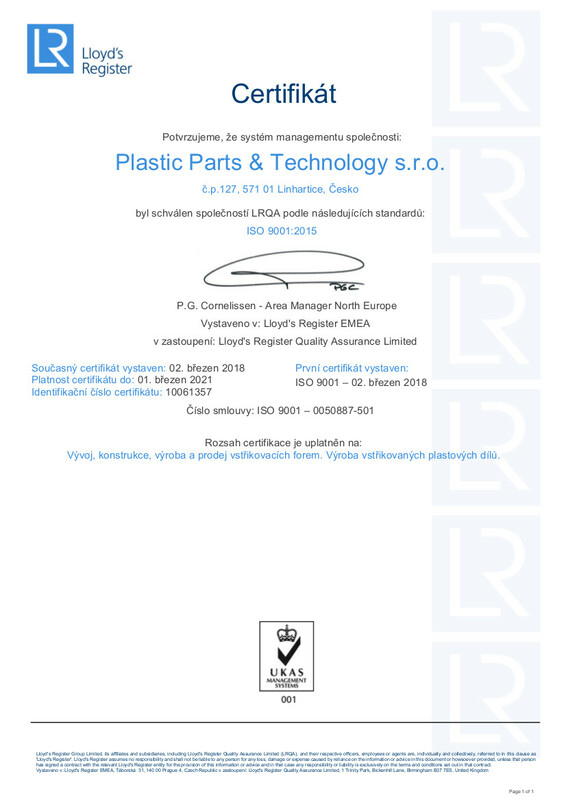 Copyright © 2019 Plastic Parts & Technology s.r.o.. Powered by WordPress. Theme: Spacious by ThemeGrill.